Over the holidays, I visited my grandfather in Miaoli and asked him what he remembered from the 228 incident of 1947. He was only a boy back then but he told the story of a widowed cigarette vendor who was beaten by a group for not giving up her shop supplies to the ‘Tobacco Monopoly Bureau’. Outraged by the violence toward the widow, a crowd soon formed to challenge the officials and caused them to flee. Unfortunately, one of them accidentally fired his gun, killing a person in the crowd. After this incident of civilian violence, the Chinese military were called in to ‘control the disorder’. My grandfather said to me that this story was told all over Taiwan and what happened for the next 38 years, known as the ‘White Terror’ period, was a time of great violence, uncertainty and disorder for the nation. Rioting, looting and the armed forces all played a part in what was to be the second longest period of martial law in the world. On the train ride back to Taipei, I thought about the stray bullet and wondered how a single death could result in a 40 year period of violence. And, when I arrived back at my apartment, I began to research. History is not, unfortunately, a series of single events to be looked at on their own. As I flicked through multiple sources, there appeared to be many things giving context to what had happened 70 years ago. What I found was a complex miasma of factors that pushed things to the brink in that period of time. Prior to World War II (WW2), Taiwan had been held by the Japanese who had a big cultural impact on the island and its people. When WW2 ended, the Japanese withdrew after surrendering to America in the wake of Hiroshima and Nagasaki and Taiwan (then named Formosa) was returned to China. It was at this point where the Chinese government took over the running of Taiwan. Initially, it was a happy period – Taiwanese were glad to be free from Japanese control and the Chinese were content with reclaiming their land. The issue that arose was both economic and cultural. Mirroring the Taiwanese, China had just struggled in war against the Japanese for 6 years. The people were tired, resentful and, most importantly, hungry. The reclaiming of Formosa meant food exports to mainland China which begun to take a toll on the supply of rice in Taiwan. This led to the price of grain on the island rising massively between 1946 and 1947. Naturally, the local Taiwanese, were not pleased. On the other side, the Chinese were resentful toward the Taiwanese. They associated the natives with the Japanese whom they had been at war with because of cultural influences – people spoke Japanese and wore Kimonos. While this seems unreasonable, it makes a lot of sense given that most of the Taiwanese population was educated in Japanese. Unfamiliar with Mandarin Chinese, it became exceedingly difficult for the Taiwanese to enter government positions and have an influence over how the country was governed. The people of Taiwan had no political office, no jobs and no food in their stomachs. On the one hand, the Taiwanese resented the Chinese for changing the stable economy of the country and on the other, the Chinese resented the Taiwanese for representing the culture that had caused 6 long years of war in the mainland. What happened on February 28th 1947 was a trigger which set off the largest political explosion in the history of Taiwan. Following the incident on that day, Taiwan was plunged into a state of chaos where the Taiwanese civilians and Chinese soldiers attacked each other under these pretenses. There was discrimination at every turn in a society that was plagued with suspicion, violence and betrayal. It is estimated that 18000 – 28000 people died as a result of Chinese military conduct during this period with countless prisoners seized by the government. Nowadays, the 228 incident is a holiday of commemoration. Speaking to my Taiwanese friends, I found a lot of differing opinions not only debating who was in the right or wrong but, furthermore, the facts of the actual event. Many sources claim different things. So, as we take the time this month to acknowledge this great tragedy, we should also consider our own views of it. We should take the time to reflect on history and understand that information can often be lost and jumbled over time. Once this is done, we can begin to understand the effects of history on society today and how we can prevent things like this from happening once again. Pre-1450: Taiwan was populated by farmers and fishermen who were migrants from China, Australia, Philippines, Indonesia and New Zealand. Taiwan lived a tribal system which was predominantly agricultural but highly protective. 1450: The Hakka from mainland China immigrate from Mainland China to Taiwan. 1622: The Dutch colonize Taiwan and set up trading ports in the north. 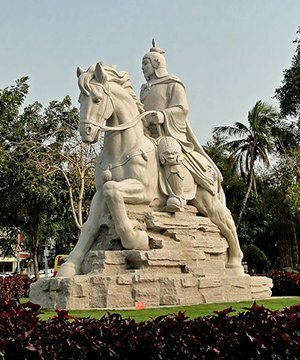 1663: Admiral Cheng dies his son succeeds him. Mainlanders migrate to Taiwan in masses and Taiwan prospers. 1683: While Taiwan succeeds economically, the Qing government overthrows Cheng’s relatives and takes control of the island. 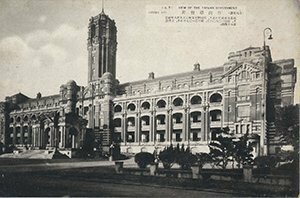 1896: Japan rules the island developing railways, roads, hospitals, schools and other infrastructure. 1945:Japan is defeated in World War 2 and is forced to surrender Taiwan and other overseas assets. Taiwan is handed to China. 1949: Chiang Kai Shek flees to Taiwan and sets up government as the Chinese Communist Party (CCP) takes control of China. Taiwan is placed under martial law. He acts as president until 1975. 1975: Chiang Ching-kuo takes over Taiwan (Kai Shek’s son). 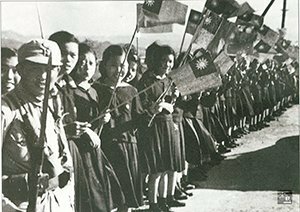 1987: Chiang Ching-kuo relieves the country of martial law. 1988: Lee Teng-hui, Taiwan’s native, becomes president. 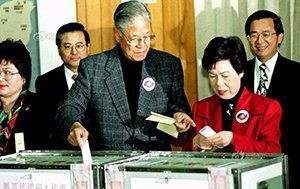 2000: The DPP wins a three party race for government in Taiwan ending 54 years of KMT rule in Taiwan. 2008: The KMT are re-elected and improves relations with China. 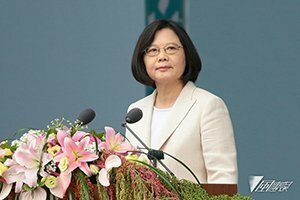 2016: Tsai Ing-wen (DPP) is elected into office.